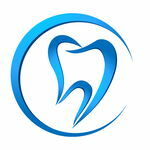 Cosmetic, family and Invisalign dentistry serving the Baytown community and surrounding areas since 1994. Dr. Ivi Z. Sanguinetti DDS, PA specializes in beautifying smiles, maintaining your dental health, and helping you improve your appearance. Dr. Sanguinetti provides Cosmetic Dentistry, Invisalign, Veneers, Root Canal, Lumineers, Extractions, Toothache relief to patients in the Baytown, Highlands, Mt. Belvieu , Dayton, TX areas. Our experienced and friendly staff takes great pride in keeping your smile beautiful. The products we recommend and use are the highest quality and incredibly durable. You can trust your smile with us. Click on the 'like' button to be part of our Facebook family.